Free football tickets for military and veterans. Events and activities in the Vandal Tailgate area honoring men and women who have served or are currently serving in the military. 11:00am – 2:00pm: Vandal Tailgate in the parking lot west of the ASUI Kibbie Dome. Military vehicle static displays, climbing wall courtesy of the Idaho Army National Guard, booths, kids’ activities, Vandal Marching Band and Spirit Squad, Joe Vandal, prizes, and giveaways. 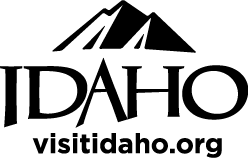 2:00pm–6:00pm: Football game; University of Idaho vs. North Dakota State University; ASUI Kibbie Dome. Numerous activities will be incorporated into the program to include: Large US Flag unveiling, special recognition of our active, guard, reserve, and veteran population, player call-outs to their military family members, military and veteran support group recognition, and more. Tickets can be purchased online at https://tkt.xosn.com/tickets/TicketLanding.dbml?&DB_OEM_ID=17100.